Failing to plan for your exit from the business and a smooth transition to successor owners and managers can have devastating impacts — on the business itself as well as your employees and family. Regardless of how long you plan to stay in the business, it’s never too early to formulate a succession plan. Ideally, you should undertake succession planning between three and eight years before you plan to exit the business. By getting an early start on planning and then diligently executing your plan, you will increase your chances of maximizing the value of your business and obtaining the highest possible selling price. You’ll also minimize potential disruptions to business operations and uncertainty among your employees and family members about how the business will be owned and managed in your absence. There are many different aspects to succession planning, but one of the most important is ensuring the quality of your financial statements. This is a critical component of making sure your financial house is in order — which is essential to attracting high-quality buyers and maximizing your sale price. More specifically, your financial statements should be audited or reviewed by a reputable CPA firm at least three years before you plan to put the business on the market. This will lend credibility to your claims about sales, revenue and EBITDA and make the due diligence process faster and easier for potential buyers. You should also make sure that all business records are signed, organized and up to date and extend contracts, leases and loans at favorable terms to make things easier for the buyer. Have you outlined your succession goals? For example, your goal might be to sell your business for the highest possible price regardless of who the buyer is, while minimizing your financial risk. If so, you’ll likely look for an external buyer instead of selling to employees via an ESOP or passing the business on to children or other family members. Have you planned for your liquidity needs? You may be planning to use the proceeds from the sale to fund your retirement, in which case your goal may be to create a lifetime income stream. Or maybe you want to use the proceeds to start another business, in which case you will probably want to collect the full purchase price at closing instead of financing the purchase. Do you know what kind of buyer you want to attract? Business buyers come in many different shapes and sizes. For example, there may be strategic buyers (including your competitors) that believe acquiring your company will give them a competitive edge. Or a buyer might emerge from outside your industry that believes your company could give them a foothold in your industry. Or, you could decide to sell the company to insiders, such as your employees or family members. Do you have any business partners? If so, you should draft and fund a buy-sell agreement to ensure the orderly transition of your ownership shares to them upon your exit. Partner disputes are a common cause of breakdowns in the succession process. Do you want to keep the business in the family? There are unique challenges involved in family business succession planning that you should consider as you devise your plan. Communication is critical to ensure that all family members know what their roles in the business will (and won’t) be in the future. Misunderstandings in this area can lead to fractured family relationships, which in turn can damage the business if they aren’t dealt with proactively. How will buyers be able to grow the business? Most buyers are looking for businesses that they can grow — they’re not interested in just maintaining the status quo. So, prepare a business growth plan you can show buyers, so they can see what kind of growth potential your business offers them. Focus on both sales growth and growth in EBITDA. Is your management team capable of running things in your absence? Acquirers also usually want to see a strong management team in place in the companies they’re considering buying. Therefore, you should invest as much time and money as necessary to strengthen your management team during the years leading up to your exit. Also consider incentivizing key managers and executives to stick around after you leave, including possibly offering them an equity stake in the business. Succession planning should be a top priority for all owners of mid-sized businesses. Unfortunately, many avoid succession planning because it seems like an easy thing to put off until later. Failing to plan for your business exit and a smooth transition to successor owners can have devastating impacts. Regardless of how long you plan to stay in the business, it’s never too early to start succession planning. 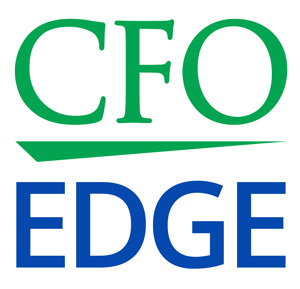 An outsourced CFO services provider can help you draft and execute a successful succession plan.